If you think about it, it’s silly that people count in base ten. Yes, it’s convenient because we happen to have ten fingers, but it’s inconvenient in numerous other ways. For example, although 1/2 and1/4 and 1/5 and 1/10 can be easily expressed by decimals, other common fractions like 1/3 and 1/6 and 1/8 are just weird if you try to write them in any other form. To give a less abstract example, the amount of time that I spend at work is measured according to a decimal system. That means that each 0.01 hour of work is 36 seconds, which is a kind of random unit of time. On some level, the human race is clearly aware that units of twelve are logical. The year has twelve months, a foot has twelve inches, and many products are sold in groups of twelve. Yet we still insist upon counting in base ten. I think it says something about the selfish nature of humanity that we just assume that numbers are meant to be used in base ten simply because we have ten fingers. The human hand, according to our subconscious thought process, is clearly the standard by which we are supposed to measure everything in existence. No source of authority and no rational point of view outranks the supremacy of the human hand. Or something like that. But, mathematically speaking, there are better ways to count. The short and simple way to say this is just to insist that base twelve is better than base ten because twelve has more factors than ten. But I’m going to back up a couple steps and ramble about some other things first. In all fairness, I must acknowledge that there’s a book I’m currently reading (How Acceptance of a Duodecimal (12) Base Would Simplify Mathematics by F. Emerson Andrews, copyright 1935 and 1944) that basically says everything that I’m saying in this blog post, and I’m sort of drawing from that book in writing this. But I also would like to point out, just for the sake of being a know-it-all, that none of the information or ideas I’m repeating here were new to me. These were all things I had heard, read, and thought about a long time before I happened to notice that book on the library bookshelf and was drawn in by its awesomeness. The first thing about which I want to ramble is that even the tally mark system is pretty cool. We couldn’t count very high if it wasn’t for the clever construct of splitting numbers into handy units. 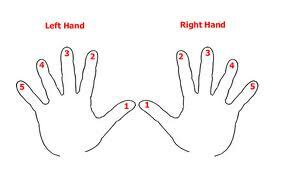 If you count on your fingers, you only have two sets of five at your disposal, and you’re going to lose count pretty quickly once you get past ten. And if you try to count by writing down one mark for every unit, that’s not going to improve matters much. But by sorting those individual units into groups of five and then counting fives, you can count an awful lot higher. There’s no particular reason that five has to be the base used or that the notation method has to be tally marks as we know them; it’s the system of individual units and larger group units that is so clever and useful. Even though we take that system completely for granted, it’s pretty awesome when you think about it. But then the world was revolutionized by the numeral zero, which is the awesomest thing ever invented by humanity with the possible exception of that time when some random person thought of the idea of grinding up coffee beans and filtering hot water through them. Of course, the concept of “none” had always existed and there were ways of expressing the quantity of “none” in words. But there was no numeral zero as we use it now, and so place value didn’t work. It’s difficult to attribute the origin of zero to a specific time or place, because various cultures had various different ways of mathematically denoting zero-ness. But the significant advancement was the use of place value that was made possible by the use of the numeral zero, and that came from India and then gradually became commonly used in Europe during the medieval period. 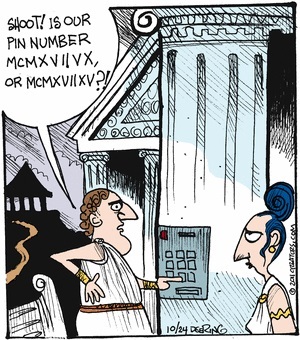 It wasn’t until the 16th century that the current system for writing numbers finished becoming the norm. I think we can all agree that the Hindu-Arabic number system is much easier to use than Roman numerals. It’s easier to look at 1040 and 203 and know right away that they add up to 1243 than to look at MXL and CCIII and know that they add up to MCCXLIII. And it isn’t hard to add 48 and 21 in your head and get 69, but adding XLVIII and XXI to get LXIX is a little messy. A numerical system that relies on place value is inherently simpler to use than a system that doesn’t. But there’s still that whole thing about base ten. To say that we count in base ten means that ten is the number that we write as 10. 10 means one group of ten plus zero ones. 12 means one group of ten plus two ones. 176 means one group of ten times ten, seven groups of ten, and six ones. But if, for instance, we counted in base eight, then 10 would mean one group of eight and no ones, which is 8 in base ten. 12 would mean one group of eight and two ones, which is 10 in base ten. 176 would mean one group of eight times eight, seven groups of eight, and six ones, which is 126 in base ten. If that sounds complicated, it’s only because we’re so used to base ten. We instinctively read the number 10 as ten without even thinking about the fact that the 1 in front of the 0 could refer to a different number if we were counting in a different base. I’m not really advocating for getting rid of base ten, because it would be impossible to change our whole system of counting overnight. It took centuries for Hindu-Arabic numerals to replace Roman numerals in Europe, and switching to a different base would be an even bigger overhaul. Base ten is a very familiar system and it would just be confusing for everyone to suddenly change it, not to mention the fact that everything with numbers on it would become outdated and mathematically incorrect. So I’m perfectly content to stick with base ten for the most part, but I still think it’s worth pointing out that base twelve would technically be better. And this brings me to my actual point, which is why exactly base twelve is the best of all possible bases. It goes without saying that the only feasible bases are positive integers. But I’m saying it anyway just because I am entertained by the notion of trying to use a non-integer as a base. It is also readily apparent that large numbers don’t make good bases. Counting and one-digit arithmetic are basically learned by memorization, and the larger the base is, the more there is to memorize. But small numbers don’t make good bases, either, because it requires a lot of digits to write numbers. Take base three, for instance. Instead of calling this year 2013, we’d be calling it 2202120. (Disclaimer: it’s entirely possible that I made an error. That’s what happens when I use weird bases.) And it wouldn’t be a good idea to use a prime number as a base. Even though I happen to be fond of the number seven and have said before that the people on my imaginary planet count in base seven, I realize that’s weird. (That is, counting in base seven is weird. It’s completely normal that I have an imaginary planet that uses a different mathematical system.) In base ten, we have a convenient pattern; every number that ends in 5 or 0 is divisible by 5, and any number that doesn’t end in 5 or 0 is not divisible by 5. That pattern works because 5 is a factor of 10. Using a prime number as a base would complicate multiplication and division because we wouldn’t have useful patterns like that. So the numbers that would work relatively well as bases are eight, nine, ten, and twelve, and maybe six, fourteen, fifteen, and sixteen, if we want to be a little more lenient about the ideal size range. Eight and sixteen win bonus points for being 23 and 24, which is nice and neat and pretty, and nine and sixteen win bonus points for being squares. (Squares are cool, y’all) But twelve is the real winner here, because its factors include all of the integers from one to four. That means that it’s easily divisible by three and four as well as by two, and a multiplication table in base twelve would have lots of handy little patterns. Every number ending in 3,6,9, or 0 would be divisible by 3; every number ending in 4, 8, or 0 would be divisible by 4; every number ending in 6 or 0 would be divisible by 6. All multiples of 8 would end in 4, 8, or 0, and all multiples of 9 would end in 3, 6, 9 or 0. As in base ten, all even numbers would end with an even digit and all odd numbers would end with an odd digit. And obviously, every number divisible by twelve would end in 0.Basically, base twelve has the most convenient patterns of any base in the feasible size range. To prove its convenience, I made this multiplication table myself rather than copying the one in the aforementioned book. (For the record, X refers to ten, because the notation 10 now means twelve, not ten, and ε refers to eleven, because the notation 11 now refers to thirteen, not eleven. I got those additional digits from the book. Part of me wanted to make up new ones, but there was some logic to the way it was done in the book, so I decided to just go with that.) I did double check it against the book just to be sure, and I suppose I ought to confess that I made a couple errors in the 5 and 7 columns. 5 and 7 are a little problematic in base twelve in the same way that 3 and 4 and 6 and 7 and 8 are a little problematic in base ten. But this didn’t take me very long at all to do, and the columns for 2, 3, 4, 6, 8, 9, X, and ε were extremely easy. 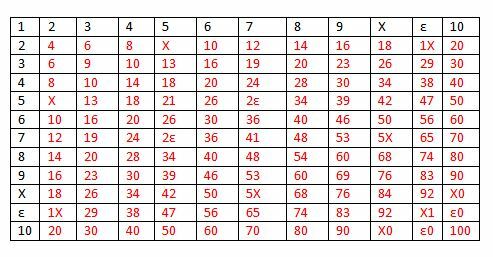 Since basic arithmetic isn’t exactly a great strength of mine, the fact that I found it easy to construct this multiplication table proves the mathematical ease of arithmetic using base twelve. So, yeah, base twelve is cool and stuff. 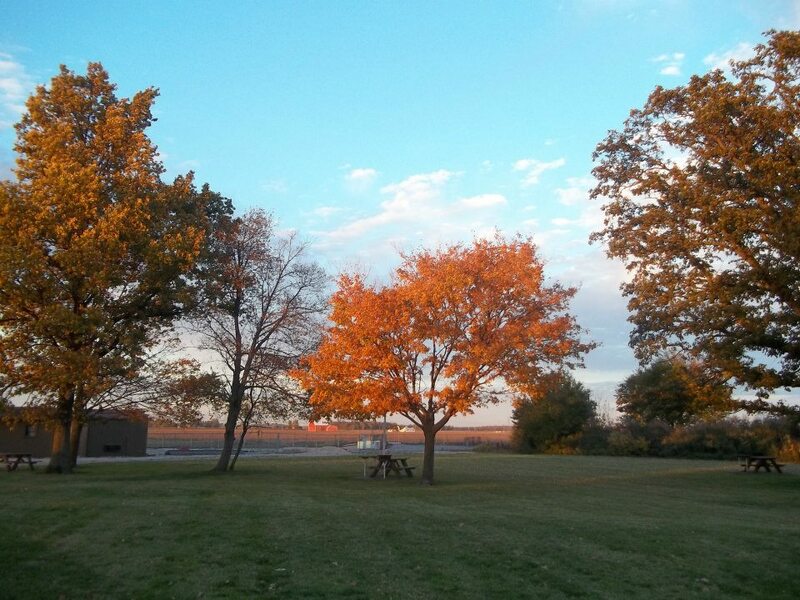 Yesterday was the official first day of autumn. The new season arrived at 3:44 in the afternoon, because that’s the precise minute when the equinox occurred. Of course, from most people’s points of view, the weather and social traditions are what really determine when the seasonal transitions occur. 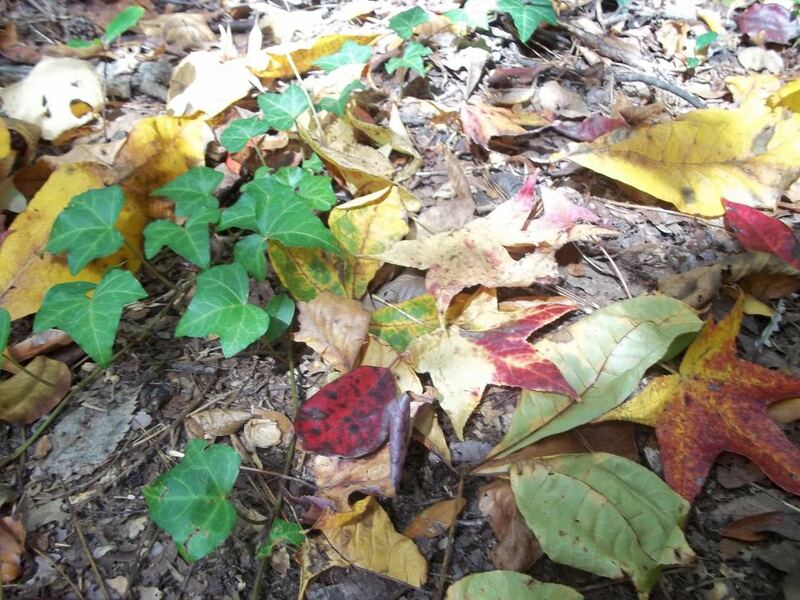 Depending upon how you look at it, you may think that autumn started over Labor Day weekend, or on the day that you saw a yellow leaf for the first time this year, or on the first day of school, or on an arbitrary day when you suddenly noticed that it’s getting a lot cooler. I personally don’t have a particular day in mind for when it started being autumn, but I definitely already considered it to be autumn long before yesterday afternoon. I don’t really have a favorite season of the year, because there are things I especially like about all of them. (I specify that I’m talking about seasons of the year because the word “season” can also refer to “seasons of Doctor Who,” which is what I normally mean when I use that word.) In general, my favorite times of year are the beginnings of each season. And according to that general rule, now is one of the best parts of the year. I am kind of excited to be wearing sweaters, igniting autumnal-scented candles, and watching for the leaves to start changing colors. 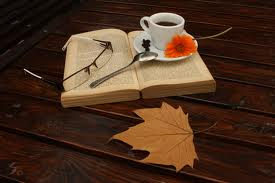 Here is another autumn picture, even though it doesn’t really relate to this paragraph. 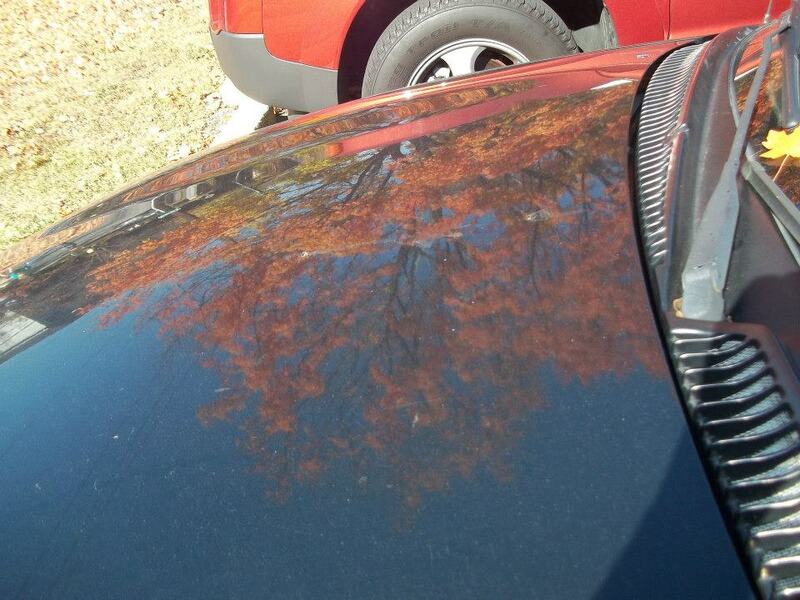 It’s the image of a tree reflected on my car. I would like to point out the extreme irony of the hipster trend. It has become a pretty large and prominent subset of popular culture even though it characteristically rejects popular culture. (It is worth noting that the term “hipster” has been around for generations and has meant different things at different times. )The current hipster trend involves an unusual taste in music, dressing according to a personal fashion sense instead of following styles, and a lack of interest in celebrity news and other such plebian interests. Hipsters associate themselves with higher intellectual interests and more refined tastes by virtue of the fact that they choose their interests and preferences themselves instead of following the whims of society as a whole. And as far as that goes, I would consider myself part of that movement. I have always preferred oldies to current hits, and I have always ignored current fashion trends. I fully agree with the stereotypically hipster sentiment that there is nothing more comfortable and safe than a good book and a quiet, private place to read. Never have a felt any need to keep track of what is “in.” The hipster cliché about liking something before it became cool applies to me very much; there are a number of times that I’ve started wearing clothes with a certain design or pattern (peace signs and leopard print, for example) or started using a certain phrase shortly before it suddenly became “mainstream.” Essentially, I was a hipster before it was cool to be a hipster. But interestingly enough, hipsters form their own subculture that is about more than just a rejection of pop culture. While the stereotypical hipster traits aren’t necessarily true of every hipster, that label is something that a person generally chooses for him or herself, so you really can’t blame non-hipsters for classifying hipsters as if they share personality traits and a lifestyle as well as their opinion of pop culture. Even though hipsters all dress according to their own personal fashion taste, it seems that most hipsters dress more or less the same. Even though they all decide upon their opinions for themselves, it seems that most hipsters have a similar political agenda and consider themselves to be environmentalist activists. Even though they all pursue their own interests, it seems that most hipsters are into photography, poetry, coffee, and their obscure musical tastes that they share with mutual hipsters. Hipsters are considered to be pretentious and selective, as demonstrated by their tendency to look down on anything or anyone that is mainstream and to disapprove of anyone who doesn’t know offhand the geographical origin of the beans that were used to make their coffee. And, as previously noted, a hipster’s favorite season is fall, which they celebrate by drinking pumpkin-flavored organic coffee and taking artsy autumn-themed pictures and posting them on the internet. Here is a picture that I took and used as my facebook cover photo for a few weeks last year. I did already admit that I do relate to some aspects of the hipster trend. Obviously, anyone is free to love autumn, regardless of what it is that they love about autumn. My appreciation of autumn weather and colorful leaves, my affinity for sweaters and for foods that are associated with autumn, and my fond memories of childhood Halloween traditions are no less valid than someone else’s enjoyment of posting pictures of fall-themed outfits on the internet or the pleasure they get from their pumpkin-flavored coffee. I don’t mean to imply that there’s anything wrong either with the enjoyment of those things or with those things themselves. But I do slightly resent that it would be cliché and stereotypical for me to make a remark that I like this time of year. As I was attempting to do my grad school homework and was diligently pondering the conceptual model of FRBR, an irrelevant thought occurred to me, and the thought was this: is sarcasm universal or cultural? Somehow, it seems like a specifically modern-American idea that you can communicate effectively by saying something you don’t mean in an unkind tone of voice. But that apparently isn’t really the case; sarcasm makes an appearance in plenty of older and non-American writings. 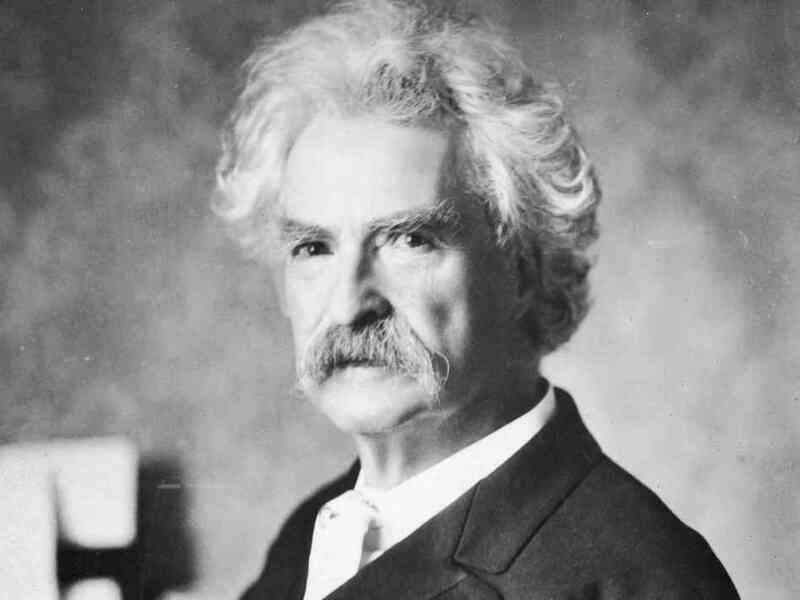 Since Mark Twain was fairly renowned for his sarcasm, I feel that it is necessary to mention him here, even though he doesn’t help me make my point because he was American. To give a second example, even though it’s so obvious that it sadly demonstrates my laziness in writing this blog post, Shakespeare’s plays contain a good deal of sarcasm. And Shakespeare didn’t invent sarcasm either; it seems to have always been around. After remembering that even the ancient Hebrew people were sarcastic, (“Is it because there are no graves in Egypt that you have taken us away to die in the wilderness?” Exodus 14:11) I decided to find the first Biblical example of sarcasm. It appears to be Genesis 4:9, when Abel says, “Am I my brother’s keeper?” I suppose one could debate whether or not that’s sarcasm, but I think it counts. Anyway, the relevant point here is that it’s fairly obvious that sarcasm has been around for a while and that it isn’t specific to a given culture or to a given worldview. I suppose that the original question isn’t very specific, because the definition of sarcasm isn’t very straightforward. The most basic description of sarcasm is more or less what I said earlier: saying something you don’t mean in an unkind tone of voice. A fairly obvious example is saying, “Yeah, right” in response to a statement that you don’t believe. Sarcasm often is used to insult someone, by saying something that would otherwise be a compliment for the sake of pointing out that it isn’t accurate. An example would be to say, “Well, that was smart!” when somebody makes a mistake. According to this definition, sarcasm is essentially a low form of irony. I would describe irony as a literary or rhetorical device that makes a point or conveys humor by expressing an implied meaning that is directly contrary to the literal surface meaning. (It is perhaps necessary to point out that the words “irony” and “ironic” are used in many different ways, and it is not necessarily the case that only one of these meanings is correct.) As a form of humor, it is generally fairly subtle. I would argue that this is connected to the difference between irony and sarcasm; irony is intelligent because it involves the artful balance of two conflicting meanings, the surface meaning and the intended meaning. When someone makes a sarcastic remark, though, they don’t intend for anyone to even notice that there is a surface meaning. The implied negativity is meant to be conveyed without the literal meaning being acknowledged, and the remark is therefore lacking in the clever little play on language and meaning that is characteristic of irony. Another distinction between sarcasm and irony, which is probably a little more valid because I didn’t just make it up myself, is that sarcasm is directed at a person, while irony addresses a situation. (This is the line drawn by researchers Melanie Glenwright and Penny Pexman, who performed research on children’s ability to distinguish between sarcasm and irony. 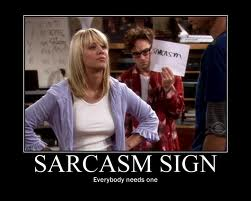 The abstract can be found here) Basically, according to either of these distinctions, irony is okay and sarcasm is mean. I defend this distinction based upon the etymology of the word “sarcasm.” It didn’t exist in English until the late 17th century, but it originates from the Greek σαρκασμος, which is the noun-ified version of a verb that literally means “strip off the flesh.” (This information comes from the Online Etymology Dictionary, but I would like to add the fact that the root word is σαρξ, which means flesh, just so that I can show off the fact that I do happen to know some useful information offhand without having to consult the internet for everything.) Evidentially, throughout the evolution of the Greek language and its influence on the Latin language, “sarcasmus” came to refer to sneering mockery. The word worked its way into the English language in the 1600s, and because of its origin, it necessarily carries the connotation of verbal cruelty. 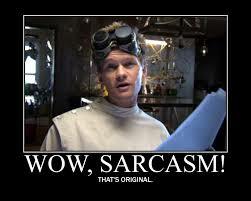 In fact, many remarks can be classified as sarcasm that actually are literal rather than ironic-ish. I had a couple examples of literal sarcastic quotations at hand, but I took out that paragraph because I thought that the sarcasm of those remarks was debatable. (My favorite was “Reader, suppose you were an idiot. And suppose you were a member of Congress. But I repeat myself.”- Mark Twain) I got them from internet lists of famous sarcastic quotes, so it would appear that, despite my degree of disagreement, they have been thus classified. In each case, they were actually pretty funny, which I guess replaces the ironic-ish nature that is characteristic of most sarcastic dialogue. Essentially, I think that what distinguishes sarcasm as a valid rhetorical tactic from sarcasm as a nasty and uncalled-for habit is whether or not the sarcastic statement was spontaneous. If someone says something sarcastic because they’re frustrated or angry, it’s just an automatic response to negative emotion, and is in no way thoughtful or thought-provoking. Its use is comparable to habitual impulsive cursing. But if someone says something sarcastic after having considered multiple ways of making the same point, they have made an intelligent choice about how best to communicate a certain thought. In that case, sarcasm is not just an empty insult meant to metaphorically tear someone’s flesh; it really is a form of irony that is being used to serve a purpose. I should probably start by acknowledging that, when I say “really awesome fun things,” I mean what other people mean when they say, “weird, pointless, and nerdy things.” In fact, people often respond to my “really awesome” ideas by giving me a strange look and saying, “But… why?” And the only answer I have for that is, “Because… awesomeness.” So keep that answer in your mind as you read this list and think, “But…why?” about everything on it. 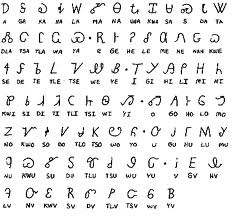 Here is the Cherokee syllabary. I am a little embarrassed to admit that all of Pi that I can remember is 3.1415. Actually, I thought I remembered a few more digits, but it turns out that I had the 9 and the 2 switched. I was right that the next digit after that was a 6, but that was as far as I could get. I used to know a lot more Pi; I think that at one point, I had about 40 digits memorized. Of course, that’s not extremely impressive because there are some extreme nerds out there who have Pi memorized to a bajillion places. But the point is that I want to be one of those extreme nerds because that seems like a fun skill to have. 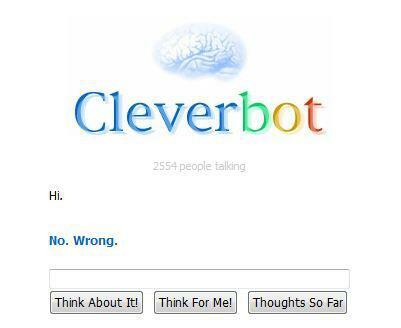 I’m pretty sure that’s more or less how Cleverbot works. This game would make use of an anonymous and random internet chat program, of which there are several in existence. Before beginning, I would make a short list of random phrases. In the first chat, I would enter each of these phrases and make a note of how the other person responded. From that point on, anytime someone uses one of my original phrases, I would respond in the same way that person #1 responded. When chatting with person #2, I would use the phrases that had been typed by person #1 in chat #1. Once again, I would keep track of the responses for use in any later situation where someone types those phrases to me. Over the course of hundreds or thousands of chats, I would build up an extensive list telling me how to respond to things that people say. The longer I do this, the more my chat messages would begin to resemble an actual conversation with an actual person. This is what I need to do. I need to make a list of every non-underwear article of clothing that I own and determine which of them “go with” which others, so that I have a specific list of every outfit I have available. For each outfit, I shall then determine rules for when and where it can be worn depending upon factors such as degree of formality and suitability in cold or hot temperatures. Finally, I shall make a complicated and convoluted chart that tells me when to wear what. The point of this is not to simplify the process of getting dressed or to save time; the point is to have the fun of consulting a chart. Because that’s a very entertaining thing to do. (I use the word “finish” because this is a project that I have started before. See this blog post from June 2012.) 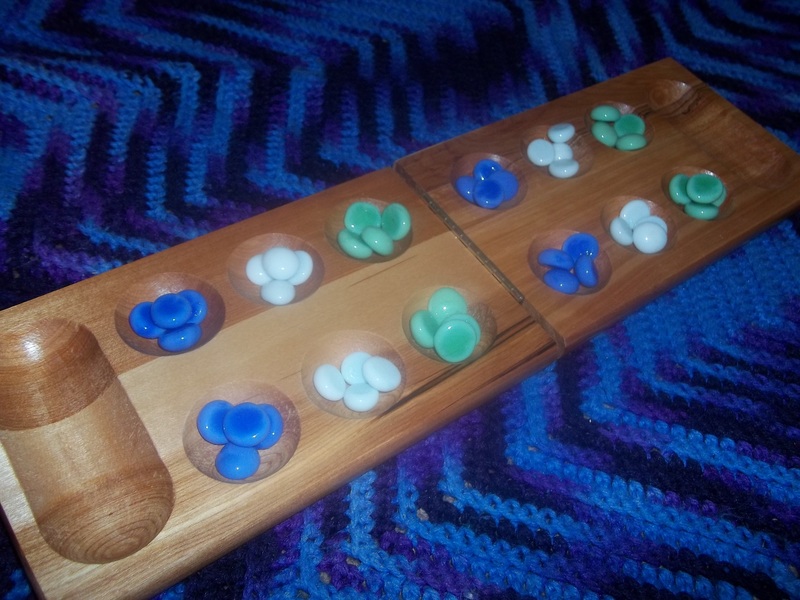 When a game of mancala begins, the first player has six choices, and only one of them makes any sense. It is fairly self-apparent that the number of possible moves increases exponentially for each additional move being considered in the calculation, and that the number of good moves also increases to such an extent that there is a very wide variety of possible outcomes. However, the game of mancala is a lot simpler than, for example, chess or scrabble, so it seems that it should be feasible, although ridiculously time-consuming, to create an algorithm determining what the best series of moves is. One goal of this algorithm is to develop a strategy that will always win; another goal is to determine how early in the game it is possible to predict beyond a doubt who will win. As far as I can tell, the best way to develop such an algorithm is to play lots and lots and lots of mancala and try out lots of possible combinations of moves. It isn’t literally necessary to play out every possible game, but it will be necessary to try out a lot of them, to try out various ways of continuing the game after various sets of opening moves, and to take a mathematical approach to the outcomes. It seems to me that the ultimate test of quick thinking is the ability to maintain a poetic meter and rhyme scheme in conversational speech. 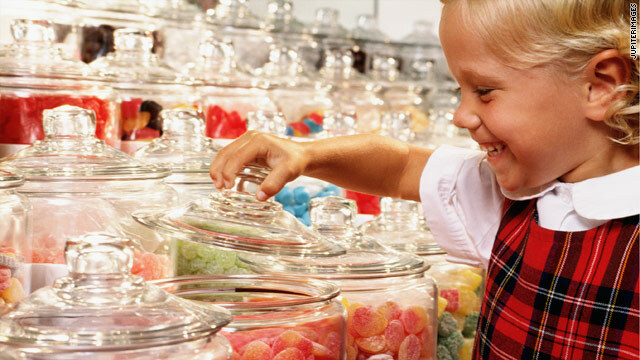 One would have to count stressed and unstressed syllables and think of rhymes all while concentrating on communicating whatever it is that one wants to say in the context of the given conversation. I’m not sure if such a thing would be possible, but it would be so totally awesome if it was. Many people, myself included, will sometimes put their hands on their face while they are thinking, and I am curious about why. In the past, I have made up experiments to test the intellectual effects of this gesture. (See these two blog posts from Summer 2012) These tests have obviously been inadequate to answer this question for various reasons. For one thing, they were conducted in the same way, which measured intellectual activity by memorizing a string of random digits. But memorization isn’t the only kind of thought. It seems to me that a strategic game is a more thorough test of effective thought. Chess is the ideal game for this experiment because it has no element of luck and is more intellectually stimulating than certain other games like checkers. (In case anyone is interested, I dislike the game of checkers and am always glad for an opportunity to say so.) The next experiment would involve playing consecutive online chess games, all using the same time limit, for many hours on end. During some games, I would rest my face on my hands while I think, and during other games, I would make sure not to touch my face at all. This experiment would have to be repeated several times on different days in order to decrease the risk of confounding variables. I imagine that I would need to play a few hundred games before calculating the results. Even then, these results would be meaningless unless I came up with further experiments which would involve other people and other methods of measuring intellectual activity. This one is pretty self-explanatory. 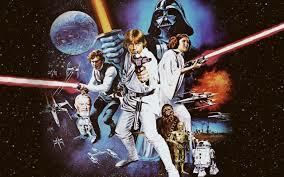 It also is quite obvious that the first couple movies that I would memorize would be Star Wars and The Princess Bride. Others that would be high on the list would be the other Star Wars movies, Monty Python and the Holy Grail, The Hitchhiker’s Guide to the Galaxy, the Back to the Future trilogy, and The Matrix. You know, all those movies that cool people quote all the time. This list is incomplete because there are a semi-infinite number of really awesome fun things that I would do if I had time on my hands. There are a bunch that I had intended to include in this partial list that have temporarily slipped my mind, and I’m going to go ahead and post this without them because what I have here is already sufficiently long. Then there are others that I thought of a long time ago and have completely forgotten, and many more that simply haven’t ever occurred to me yet. Just to finish the list would be an unachievable goal. But it would be entertaining to spend a lot of time working on it. Pictured: how the majority of people over the age of thirty seem to think of people under the age of thirty. This expression is often used by middle-aged or elderly people when speaking to teenagers and young adults with the idea that it encourages them to live in the moment and to enjoy the carefree days of their youth. But it’s actually a depressing and discouraging thing to tell someone because it’s basically equivalent to saying, “Things are never, ever going to get any better than they are now.” That’s a little sad even if the person hearing it really is relatively content and carefree, but the fact of the matter is that most teenagers and young adults really aren’t that happy with the way things are going. In the same way that adults tend to forget the extent of the disappointments and frustrations of childhood, it would seem that older adults forget the extent of the stresses and struggles of being younger. School is hard, learning to make financial decisions for oneself is hard, and making long-term life choices is hard. And right now, it is becoming increasingly normal for recent college graduates to initially fail at the whole being-a-grownup thing, and to take several years to figure out how they’re going to make ends meet and what they’re going to do with their lives. As someone who doesn’t have a home or much of any money, who has recently moved to an unfamiliar area and isn’t having an easy time settling in, who doesn’t necessarily eat three meals every day because food is expensive, and who spends a couple hours a day driving a car that has had the check engine light on for more than ten months now, I don’t want to hear that these are the best days of my life. I do realize that there are advantages and disadvantages to every age bracket, and that being middle-aged or elderly isn’t all that great, either. I’m pretty sure that there’s no specific age that is the best age to be. Everyone goes through times that are happier or harder than other times, and the chronology of those phases varies from person to person. Even within the life of one specific individual, it would probably be impossible to pinpoint a certain time period that was the best. But the bottom line is that nobody likes being told by an oblivious but well-meaning friend or family member that they have things better than they actually do. So unless you somehow happen to be absolutely certain that someone is genuinely content with their current lot in life, you shouldn’t imply to them that it’s only downhill from there. In order to be eligible for sadness, please fill out an application form and include a pathetic resume, a list of three references who think you’re worthless, and medical records that indicate that you suffer from numerous fatal diseases and are in constant agonizing pain. 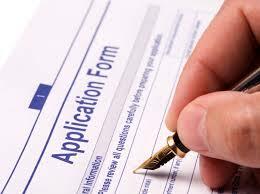 Your application will probably be denied if you have not been diagnosed with manic depression, do not have substantial credit card debt, or have supportive family and/or friends. On tumblr recently, someone posted a text post that went something like this: “After much searching, the person with the worst life is finally found. They are officially granted permission to be sad, but only them, and no one else.” (Paraphrased quotation because I’m too lazy to go back and find it) As silly as that is, the absurdity comes from the implication of the original cliché, not from the tumblr user’s response to it. After all, why would it be reassuring or comforting to point out to someone who has a problem that there are other people who have it worse? Unless the person to whom you are talking has some serious personality issues, they aren’t going to be happy about someone else’s woes. Even if someone is unselfish enough to easily and immediately forget their own difficulties in order to feel sympathy for someone else, that person is still not going to be happy about the situation. Empathy for other people’s hardships is not an enjoyable state of mind, even if it is morally better than feeling sorry for one’s self. By an odd coincidence, nearly every time that someone I know has been seriously injured, it has occurred at a time when I was frustrated by a reoccurring minor injury myself, and it neither cheered me up nor cured my not-really-very-severe pain to know that someone else was suffering from much worse pain. It made me feel both guilty and worried at a time when I was already upset. Besides that, it’s not as if a person can suddenly become happy just by deciding that they ought to be happy. Despite what every motivational speaker has repeatedly said, you don’t choose your emotions. They are determined in part by your personality and in part by the circumstances and events of your life. Neither of those factors is something that you can change at will; if they were, you wouldn’t ever be unhappy in the first place. When things are going badly, the last thing you need is someone trying to guilt-trip you into being happy, especially because guilt is also a negative emotion. Like many religious clichés, this isn’t actually in the Bible, but it’s often quoted as a piece of scriptural wisdom. You can already tell from that fact alone that something’s a little fishy about it. Granted, there are some Bible verses that could technically be reworded to say this, if you were really flexible with how you defined what it means to be able to “handle” something. But that ambiguity is the only way you can get away with using this cliché. After all, stress and unhappiness can worsen physical diseases and trigger mental illnesses, people’s personalities and outlooks on life can change for the worse because of difficult experiences, and there have even been people who have lost their faith after going through a traumatic loss. If none of those things count as not being able to “handle” something, I’m not sure what would. This is essentially a false promise, just like the false promise that God will give you financial abundance if you donate a certain amount of money to a televangelist, or that God will heal the physical infirmities of anyone whose faith is strong enough. 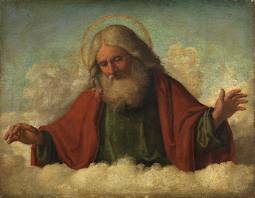 (So therefore, anyone who is ill or injured or who has a disability must not have very strong faith.) And just like those other false promises that claim to come from God, there is risk that a person will be turned away from the church when they realize that life as a Christian really isn’t free from all cares and concerns. There are plenty of wonderful promises that God does make; there isn’t any need for people to make up their own divine promises to share with each other just because they sound good. Of course, that isn’t to say that anyone who hears a cliché like this will be turned away from their faith. More likely, the person hearing these kinds of promises will be hurt that they’re being fed meaningless clichés when they could really use some genuine moral support. But that’s still a good reason that people just shouldn’t say things like this. A little more than a year ago, I wrote this blog post, expressing my annoyance that Martin Luther is often incorrectly associated with certain liberal ideas such as a mistrust of organized religion and the subjectivity of biblical interpretation. Seriously, Martin Luther is among the most misquoted historical figures of all time. According to the Editor’s Introduction to the Augsburg Confession in the 2006 publication of the Book of Concord, the time-honored tradition of grossly misquoting Luther dates back to 1519 in a book written by John Eck for the purpose of turning people against Luther. But I think that some of the current non-Lutheran viewpoints associated with Luther actually have the opposite purpose; they come from some people’s desire to claim that Luther’s reforms were heading in the direction that certain current denominations are going. At any rate, Luther never wanted the Bible to be subject to personal interpretation and he by no means believed that religion is a one-on-one individualistic relationship with God that doesn’t have anything to do with church. That’s basically what I said in the aforementioned blog post from last summer. It has come to my attention since then, though, that Martin Luther’s name has also become associated with transcendentalist ideas. 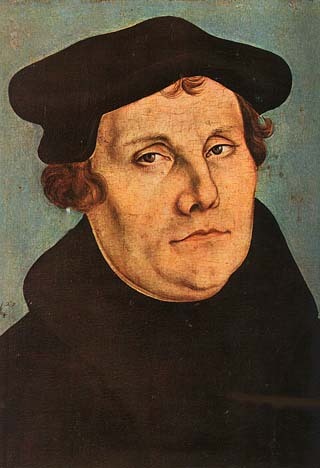 There are a number of popular bogus Luther quotations that get posted all over the internet, and I am aware of one particular facebook page that bears Martin Luther’s name, but has posted the words of Romantic-era transcendentalist poets with the assertion that they have some connection to Luther’s teachings. I later unfollowed that page after noticing that the admin had done that kind of thing on several occasions, but I am disturbed to know that such a page exists and that there are many people who repost those things with the idea that those heretical (or, at best, heterodox) quotations are profound, true, and consistent with Lutheran beliefs. There are several fake Luther quotes out there that speak about finding God in nature. The most famous of these is “God writes the Gospel not in the Bible alone, but also on trees, and in the flowers and clouds and stars.” Another one, which is very similar and perhaps is just a variation on the same quotation, says, “Our Lord has written the promise of resurrection not in books alone, but in every leaf in springtime”. There are others out there on the internet that are along the same vein. Not only have the people of the internet been unable to cite a source for these statements, but they don’t even sound like Luther. Martin Luther’s rhetoric is not known for being cutesy and fluffy. He certainly had a way with words, but he often used it to disagree with people who taught false doctrine. Basically, if you can use a quotation as the caption for a beautiful and inspirational picture of the natural world, either it’s probably not a Luther quotation, or you’re probably pretty bad at captioning your pictures. Here’s a website that gives genuine Luther quotations. (I would like to point out for the record that Luther did not specialize exclusively in insults and name-calling; he also had much of importance and significance to say about God. )There’s also a twitter page where someone posts these Luther insults in response to false doctrine that Joel Osteen puts on Twitter. Frankly, I think that Martin Luther would approve of this posthumous use of his words. It’s very much in keeping with the way he used them when he was alive. It’s certainly more consistent with Luther’s personality and his beliefs than are vague transcendentalist statements about finding God in nature. I have no doubt that Martin Luther was as capable as anyone else of acknowledging the beauty of certain aspects of the natural world, and that he appreciated the fact that God had created that beauty. You don’t have to look any farther than the Small Catechism (for example, the explanation to the first article of the creed) in order to see that Luther saw creation and every good thing in it as a direct gift from God. But there’s a big difference between acknowledging that God created something good and thinking that he communicates with us through it. It is commonly said by Christians of all denominations that we can see God’s hand in the natural world, and this is certainly true to some extent, but God does not literally speak to us through nature. In fact, the existence and beauty of the world around us obviously does not constitute proof of the existence of God, because if it did, there would be no atheists or agnostics. Even if someone was to conclude that there is a God just by looking at plants and rocks and shining lakes and majestic sunsets, they wouldn’t be able to know anything else about God from those sources of information. One truth that we can learn from the natural world is that people aren’t the only beings that experience disease, destruction, and death. Even in a relatively wild and untouched place, there will be plants and animals that suffer and die and rot, and that may suffer and/or look ugly in the meantime. While it’s true that the creative hand of God can be seen in nature, the destructive effects of sin are also written there very clearly. And nature doesn’t tell us which is which; if it wasn’t for the actual real Word of God, we would have no way of knowing that God gave us a perfect world and that it was sin that damaged it. Many people actually do see the imperfection of the world as evidence that God either doesn’t exist or that he isn’t entirely benevolent. Those are the doubts that come from ignoring the Biblical teachings about sin. Furthermore, the natural world doesn’t inform us that this destruction caused by sin isn’t the end of the story, that God has already fixed things for us. 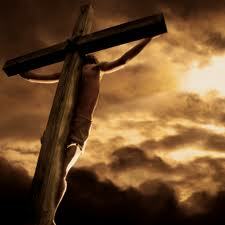 There is nothing in nature that tells us about Jesus’ incarnation and death and resurrection. To receive all of that crucial information, we need the real Word of God, which is the Bible. And Luther never said anything to the contrary; he firmly believed in Sola Scriptura. Anyone who claims that Luther said or believed otherwise is misrepresenting him. And anyone who says or believes otherwise themselves is placing faith in something other than God by reading divine messages into something that God has never said He would use to communicate with us. It’s essentially a belief in omens and signs, no different than in many pagan religions. At best, it’s a form of superstition that shouldn’t blend with Christianity, and at worst, it’s a completely non-Christian religion that is particularly evil because it falsely calls itself Christianity.